In Store: Simply subscribe to Nine West emails and receive a 15% coupon to use in store, plus get the latest style news, and special offers.. Here's a preview of the coupon that will be sent to you. Print and present this email for a 15% discount on your purchase at a Nine West store near you. In Store: Print email for a buy one item get 20% off, purchase two items receive 25% off or purchase 3 or more items and save 30%. Printable Coupon: Print and present this email in-store for an additional 30% discount on all sale styles. 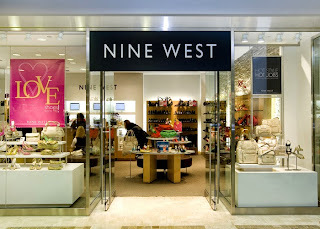 Nine west coupons are always available here. From free shipping to money off promo codes and printable coupons.. Nine West store is the ideal place to shop for women's shoes, belts, handbags, jewelry, sunglasses, and accessories. What makes Wine West so unique is that they have hundreds of styles of footwear and goods that are entirely exclusive, meaning you will not find the same item anywhere else. Happy Shoe Shopping.